When I was younger, I hated to read. Seriously, if you asked me about reading I would say no way - not happening. But then I got the book When Calls the Heart by Janette Oke. I was hooked from the first page and couldn't put it down. This book was the entire reason that I fell in love with Christian Fiction, and what started my love for reading. Seriously! 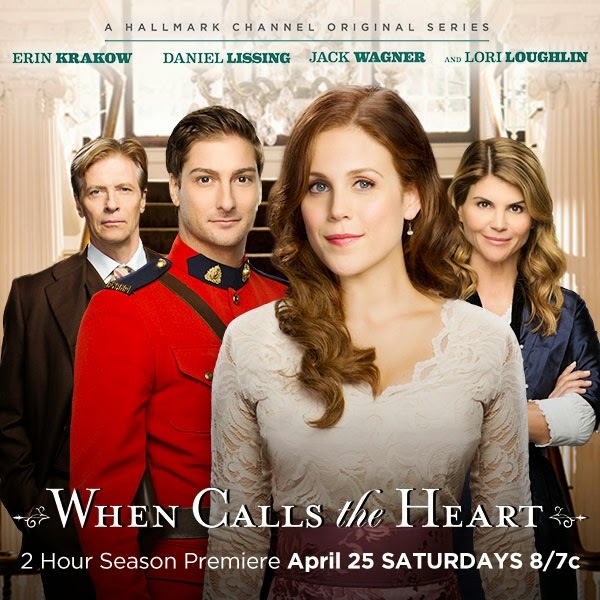 Did you know that the Hallmark channel has an original series called When Calls The Heart? It's inspired by the books by Janette Oke. It tells the story of Elizabeth Thatcher (played by Erin Krakow) who gets her first classroom assignment in Coal Valley, a small coal mining town. If she wishes to survive and thrive on her own, she has to learn the ways of the frontier. And this Saturday, April 25, season 2 airs on the Hallmark Channel! I got a sneak peek at an early premier of Season 2, and I loved it. If you loved season 1, you are going to love season 2! Haven't watched season 1? Don't worry, I have a copy of Season 1 on DVD to giveaway to one of you! 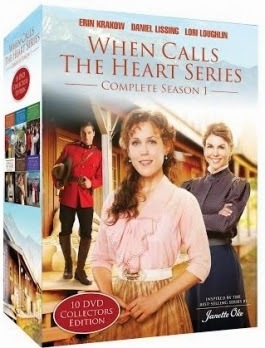 And if you are like me who enjoys watching favorite shows over and over, and if you are already a fan of the When Calls the Heart series, then you'll want this set also. Simply enter the giveaway tool below. Giveaway is open to U.S. and Canada Residents, void where prohibited. Must be 18+. Winner will be contacted via email and have 48 hours to respond before a new winner is chosen. If you like my blog, or this post, please take a moment to share it with friends. I have not read the book, nor heard about the show, but I am excited to see that it is available. I am going to watch it on the Hallmark Channel. Thanks. Yes and I love the series.